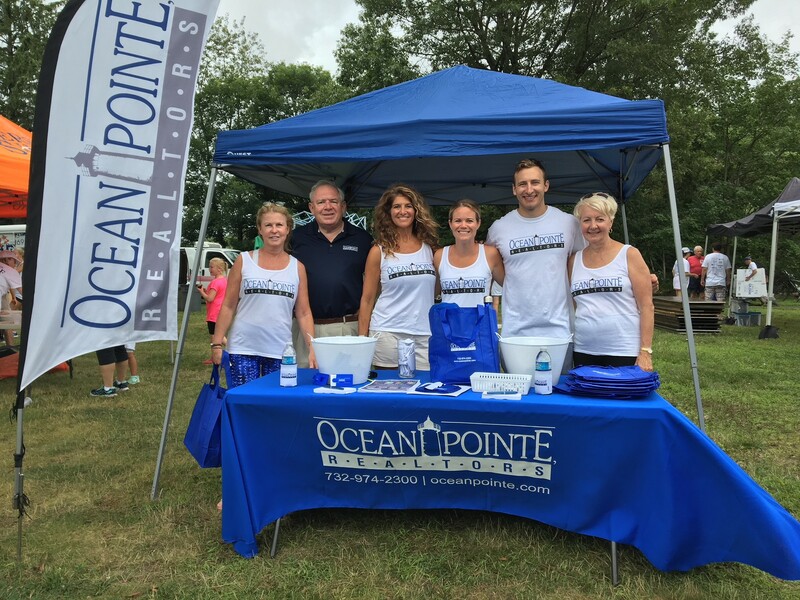 We had a great time this weekend at the Sea Girt 5K. This is one of our favorite events of the year and we love being able to sponsor it. We had a rough start with the weather but the rain cleared up and the wind died down just in time for the race to start. 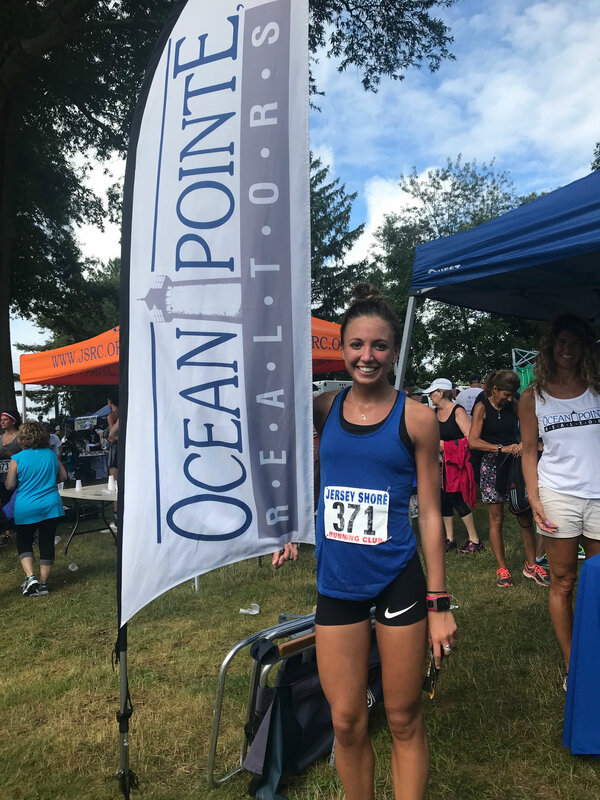 This year we were lucky enough to have our own Ocean Pointe team comprised of agents, clients and friends participating in the 5K. Congrats to the winners and everyone that ran and thank you to everyone who stopped by to say hi! Our table of goodies was a hit! Congrats to Brianna Feerst who placed first for women in the race! This is Brianna's second year coming in first! We tried to catch the top men's finisher, Peter Geithner but he was just too fast! 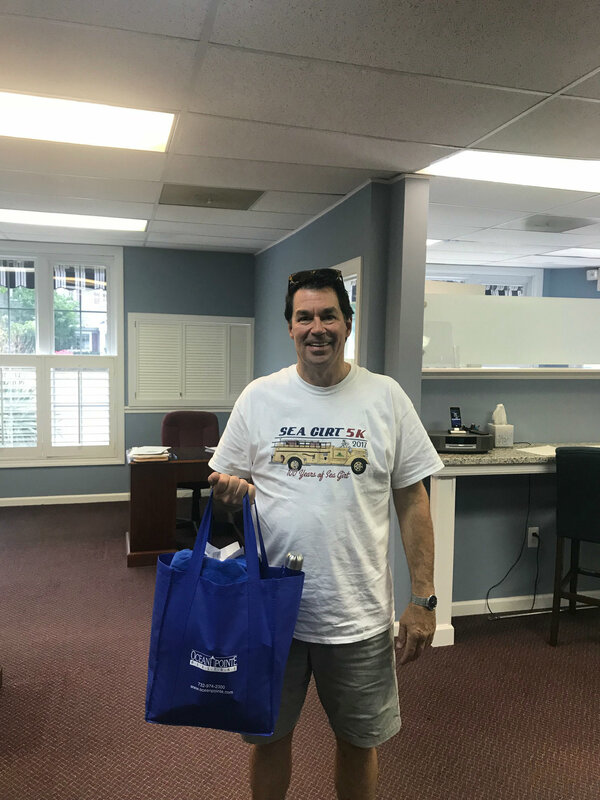 Congrats to Sea Girt resident Ray Petronka who won our Ocean Pointe raffle bag full of goodies! Head over to the Sea Girt 5K official facebook page to see more pictures from the day.